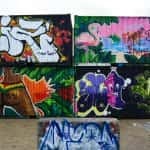 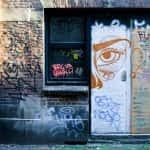 NDSM, Jordaan, Spuistraat and Wijdesteeg are some of the most popular places where you will surely stumble upon a few of these pieces during a casual walk. 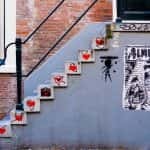 While street art is not as big in Amsterdam as it is in other European cities, the Dutch capital does have some artistic gems that contrast nicely with the grey tones of its building and houses. 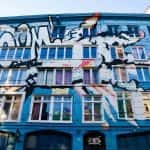 NDSM, Jordaan, Spuistraat and Wijdesteeg are some of the most popular places where you will surely stumble upon a few of these pieces during a casual walk. 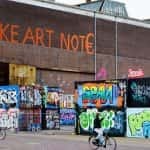 However, most of Amsterdam’s streets are filled with tons of small paintings and graffitis which often go unnoticed although they are not difficult to spot. 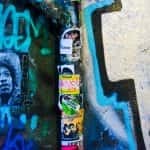 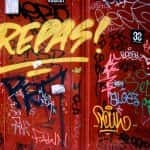 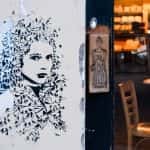 This photo column is a compilation of the not so Instagrammed street art spots that still give that pop-urban vibe to the city. 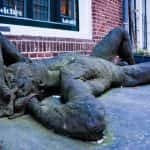 You’ll find them between those really slim streets or on the sides of the signature entrance steps to the traditional houses. 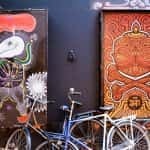 The key is to carefully take in and appreciate the little details that make Amsterdam such an artistic and unique place.